Check Out Pinstriped. A subtle but intuitive program for Mac/Windows users to make presentations a little bit cleaner by adding an organized visual, presentation layer. Watch the video for more. Recently, we interviewed Pinstriped founder Thomas Sugar and got some more details about the app and it’s story. Heroik: How did Pinstriped get started? What’s your origin story? Thomas: Pinstriped is a Spin off from a digital agency. Some time ago we made a DVD interface custom solution for a client. That was the early foundation for Pinstriped. Being able to browse folders and open files on a DVD from a slick custom branded interface, instead of the usual folders. Heroik: What sort of work were you shuffling through when presenting to clients? What’s your professional background? Thomas: I spent a number of years in the financial industry working for Wall street firms. After that I have founded a 3d/animation production, which has since then morphed into a digital agency. I have a had a lot of client meetings in this capacity. Heroik: What lies in store for the future of pinstriped? New features? Mobile App? Pricing Strategy? Etc. Thomas:We have a lot of plans for Pinstriped. A tablet version is definitely planned. Remote meeting and post-meeting sharing of files is also something we want to get into. We are planning to be a subscription service. With a very affordable price, but aiming for high volume. The plan is to always have a free version. Currently we are communicating to individual users and to their needs/pain. Long term and once we have received legitimacy the idea is to target the corporate market with an Enterprise version. 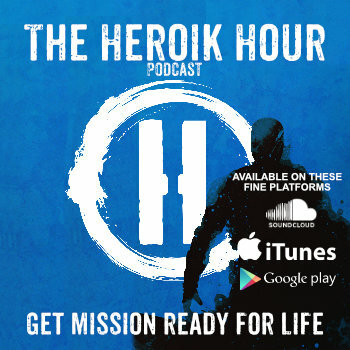 Heroik: Are you currently seeking investors/buyers/etc.? Who are you looking for? Thomas: We are looking for funding, as we are under-resourced. Especially considering all the things we want to do with Pinstriped.